While I was shopping this week, I knew I was in for a few playoff games, so I picked up several Farm Rich appetizers to keep in the freezer for an impromptu party. I like that Farm Rich products are made with real ingredients. And, since they are frozen, they are accessible and ready-to-go at any time and come in the flavors people look for on game day. To prep for Game Day, I made a football field vase that can hold flowers or even chocolate covered pretzels. This will be the perfect centerpiece for your appetizers and snacks. 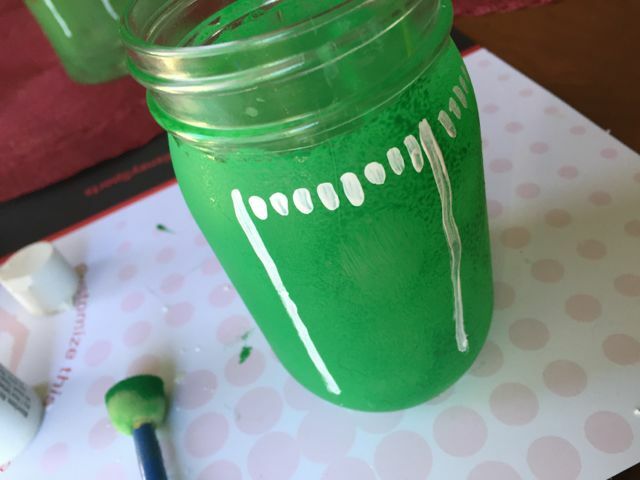 All you need is a flat glass jar or can, green and white acrylic paint, a sponge brush, a small tip brush and a black sharpie. 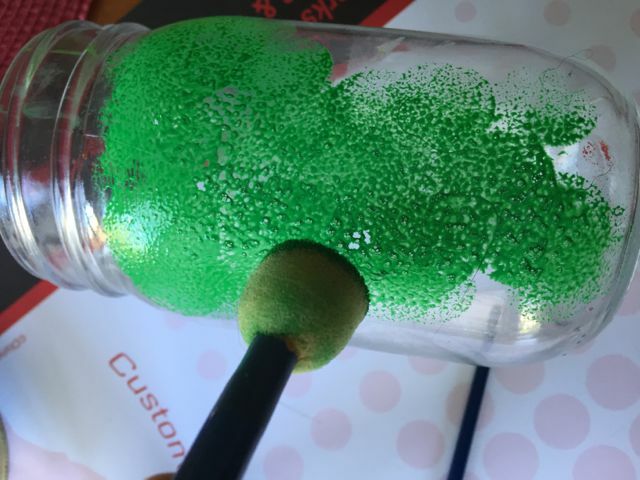 Make sure your glass is clean, and then start sponging on the green paint around the entire glass jar. 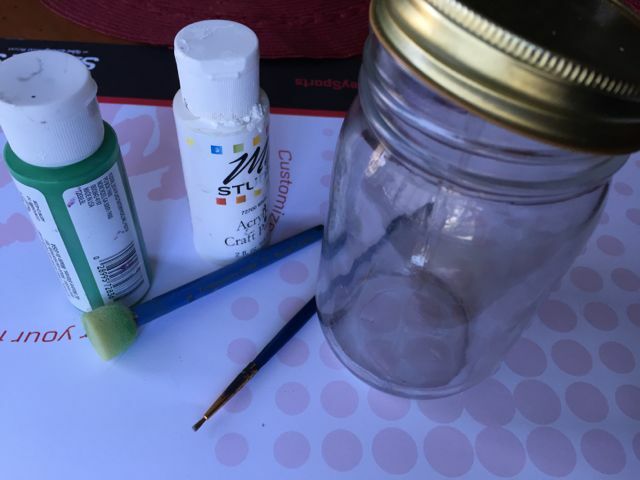 Next, add your field markings with the white paint and small brush. I made eight small marks in between each line. When this is dry, you can add the field numbers with the sharpie. DONE! 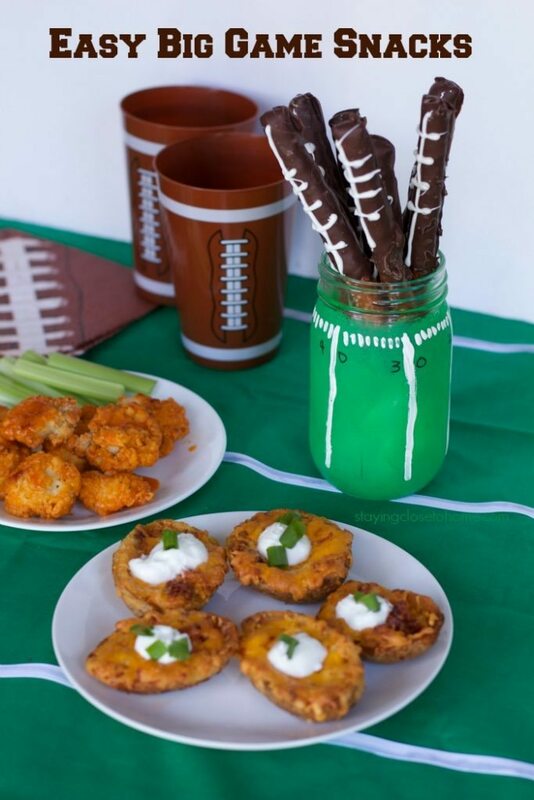 Big Game Snacks need to be both savory and sweet. 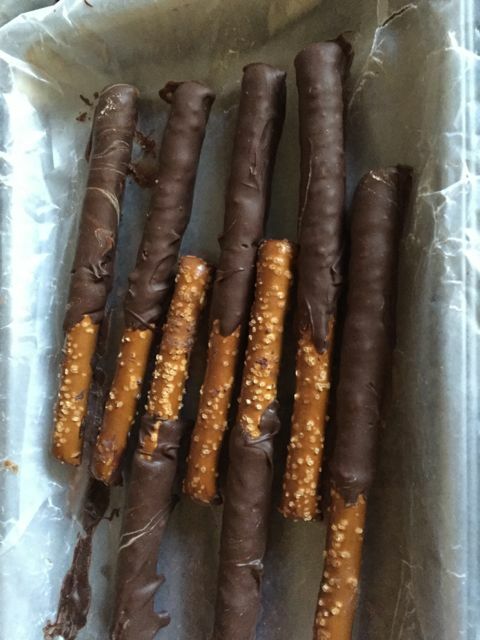 To make these football pretzels, simply dip pretzel rods into semi sweet chocolate. Allow to set completely. 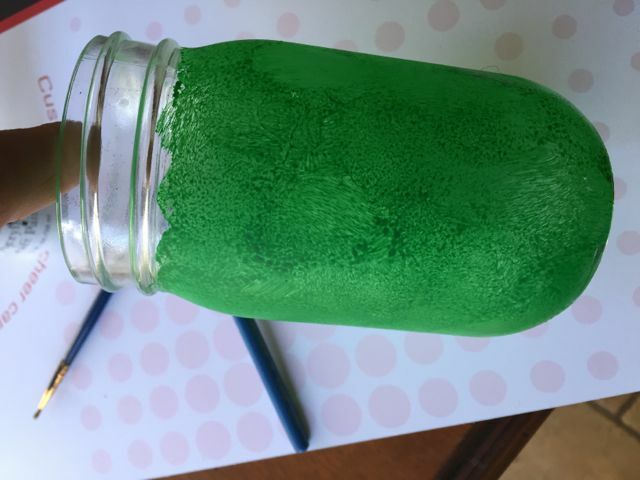 Using white chocolate discs, I filled a small squeeze bottle with the chocolate to add my markings. When ready to serve, simply add them to your vase. Since the vase was a little taller than my pretzels, I added a bit of parchment paper to the bottom of the jar. 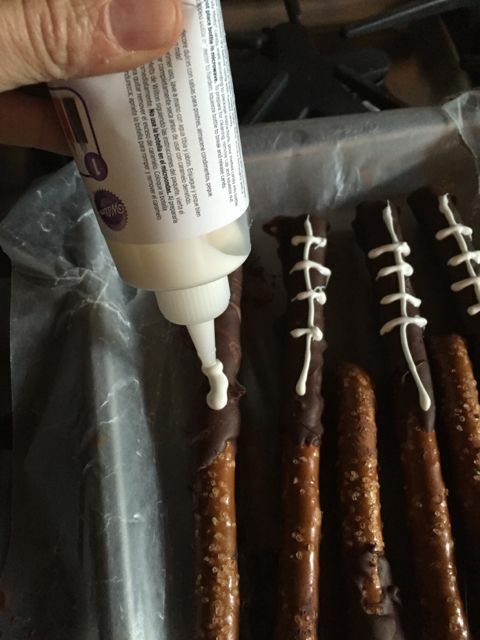 These football pretzels can be made a couple days in advance if stored in a tight container. Now that you have dessert ready, grab a coupon for Farm Rich Products by visiting the Game Day Landing Page. Sign up at FarmRich.com. Simply follow the directions on the box, and you are ready to serve up some game day snacks for the hungry fans at your house. 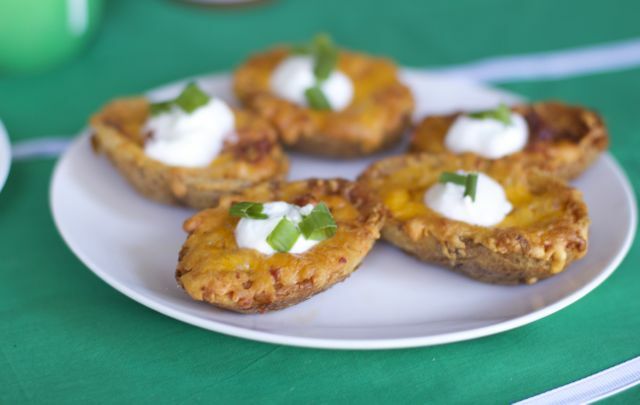 We enjoyed Loaded Potato Skins which are made from hand-stuffed, real Idaho potatoes. Since my husband is from Buffalo, we also tried the Buffalo Chicken Bites that are all-white meat chicken and protein packed. Added to a table with some festive napkins and cups, your guests will think you were cooking all day to get ready. Even if your team did not make it to the Championship, you can still become Super Fans by entering the Farm Rich sweepstakes. Prizes include $100 Gift Card to Walmart and Free of Farm Rich products for one year. 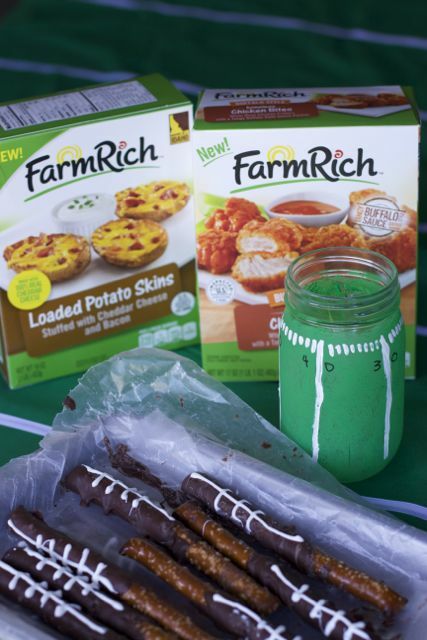 All we needed for these impromptu Game Day Snacks were available at our Walmart store. 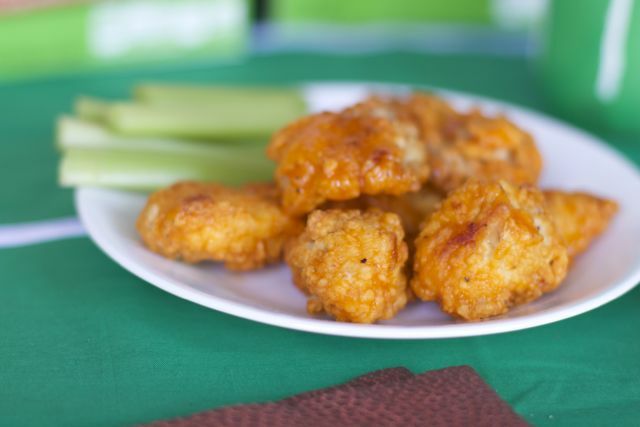 Check out our other yummy big game day snacks. 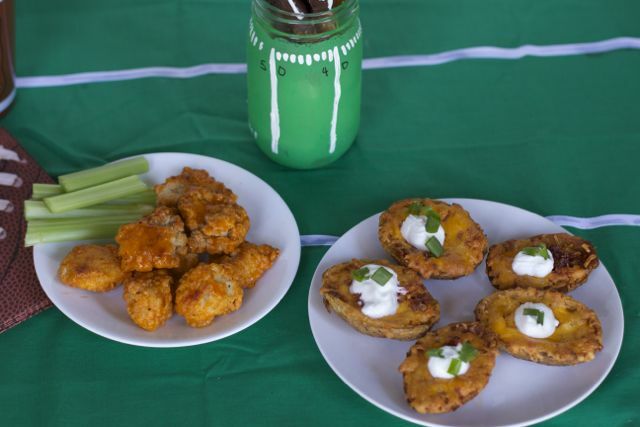 What do you like to serve at impromptu big game day parties? I love your idea for the center football themed vase! Super easy, I could see using them to hold silverware if needed. I personally would prefer the chocolate dipped pretzels! Yum! Those football pretzels are so cute! 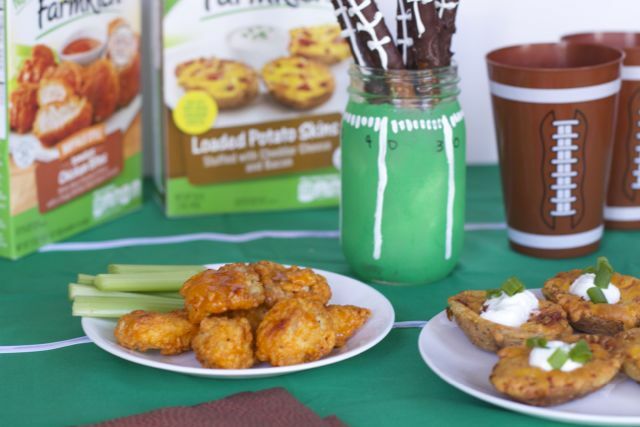 I love making apps for football game viewing parties – so you can snack on a whole bunch of things instead of eating one big meal. Those chocolate pretzels are adorable! I love it! It’s cute and not too hard. This is such a creative idea for the Super Bowl!! Can I borrow you for a week so you can do this for me? Everything looks delightful. Glad you have a team to root for!! 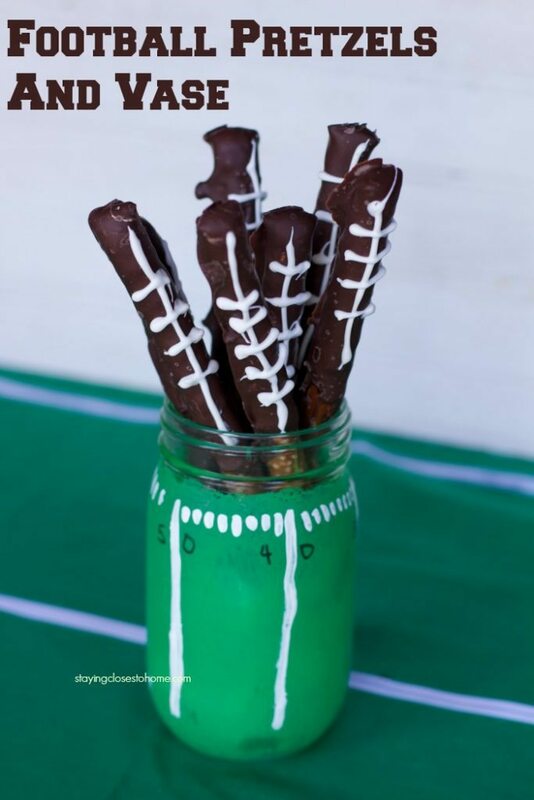 Oh my gosh, I love the chocolate covered pretzel football-themed idea! I might have to try them next weekend when we’re cheering on our team in the AFC Championship game. Go Patriots!